JAMMU MARCH 10: Principal Secretary Health and Medical Education, Atal Dulloo, Sunday stressed on maintaining the status of polio free state achieved in 2010 by continuing the efforts to immunize every single child to improve their immunity to fight the virus. He said this while inaugurating National Immunization Day (NID) campaign which was organized by Directorate of Family Welfare, MCH and Immunization J&K and District Health Society Jammu. Addressing the gathering, the Principal Secretary said that pulse polio is an immunization campaign established to eliminate poliomyelitis (polio) by vaccinating all children under the age of five years against the polio virus. 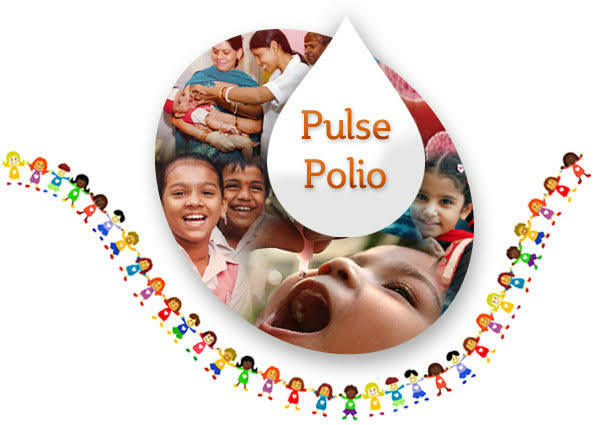 He also said that the Pulse Polio Initiative (PPI) aims at covering every individual and aspires to reach even children in remote communities through an improved social mobilization plan. The eradication program would be successful through giving drops over and over again, to boost children’s immunity higher and as a precaution against missed children, he added. Atal Dulloo said that Polio threat continues to remain unless it’s eradicated across the world. He said the virus was active in neighboring country in recent years and hence there are risks of importation. “So polio eradication would remain our top health priority unless it is over everywhere,” he maintained. He further said that the Government is focusing on far flung areas which are high in risk that includes slums, construction sites, brick kilns and nomads to save our future generation and provide protection against polio. He also said that 12,000 booths have been created to cater almost 20 lakh 78 thousand children were more than 50,000 staff have been deployed. It would be followed by door to door campaign for 2-3 days to cater the missed children who have not come to booths. He also appealed the parents to make campaign a grand success by bringing the children upto the booth for having the two drops of life. Director Family Welfare, MCH and Immunization, Dr Arun Sharma, Director Health Services Jammu, Dr Sameer Mattoo, Mission Director NHM, Dr Bhupender Kumar, besides senior officials of the department and parents attended the function.